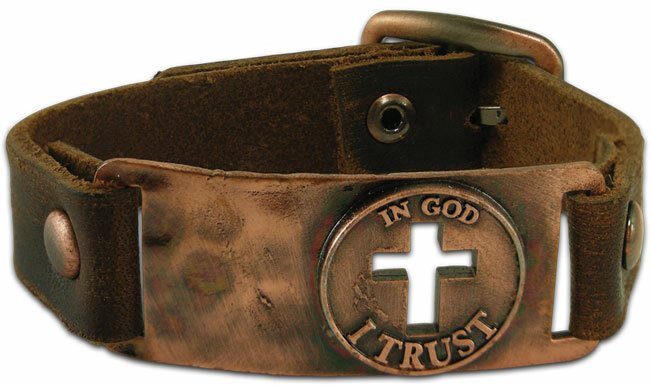 Browsing Category: Faith Gear Dog Tags Displaying 1-20 of 48 Found. $9.99 Armed and Dangerous Dogtags. Real Steel. 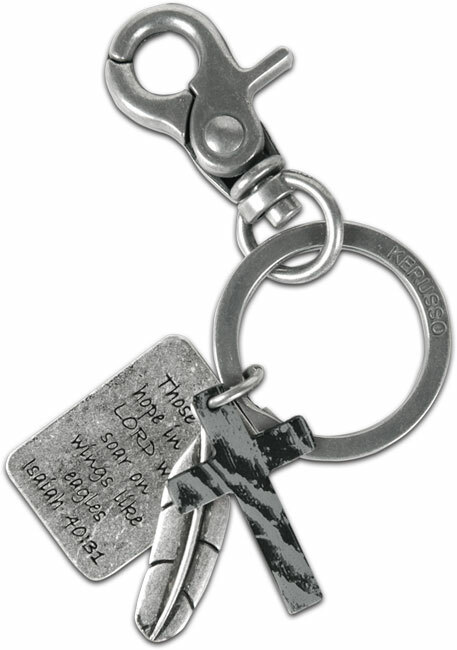 A pair of steel imprinted Dogtags suspended on a sturdy ball-chain necklace. The weapons of our warfare are not carnal, but mighty in god for pulling down strongholds! - 2 Corinthians 10:4Necklace Length: 22.5 inches. $12.99 This bold cross within an octagon reminds us to fight the good fight of faith, and to depend on Jesus for the victory. $12.99 This unique metal box has a cross made of stripes cut out on both sides and pierced all the way through. It's a powerful visual reminder of His stripes and His sacrifice for you. $12.99 The center of this bracelet features a cut-out cross backed by wings- let your faith take flight. $9.99 Our canvas military-stlye web bracelets feature applique, printing, embroidery, studs and snaps. Made to look like distressed military clothing, these olive webbing style bracelets are fashionably faded. $9.99 Our high quality canvas web bracelets feature top of the line printing, applique, embroidery, and studs. Characteristic of webbing used on military uniforms, these bracelets are designed to appear distressed and worn. $9.99 Our military canvas web bracelets feature high quality printing, applique, embroidery, and studs. Patterned after the military's olive webbing used to make uniforms, these bracelets are designed with a distressed or slightly worn look. $9.99 Our Mens canvas web bracelets are noted for their distinct printing, applique, embroidery and studs. Customized to appear similar to the olive webbing used for military garb, these stylish bracelets are designed to have a lightly worn look. $9.99 Our canvas web bracelets feature printing, applique, embroidery, and studs. Patterned after the olive webbing used on military uniforms, styles are designed to appear distressed or worn. $9.99 Our canvas web bracelets for men are marked with distinct printing, applique, embroidery, and studs. Manufactured in a style reminscent of military clothing, these bracelets have a stylish faded look to them, making them both unique and fun to wear. $9.99 Kerusso's canvas web bracelets are enhanced with printing, applique, embroidery, and studs. Molded after the military webbing used for Army uniforms, bracelets are stylistically distressed. 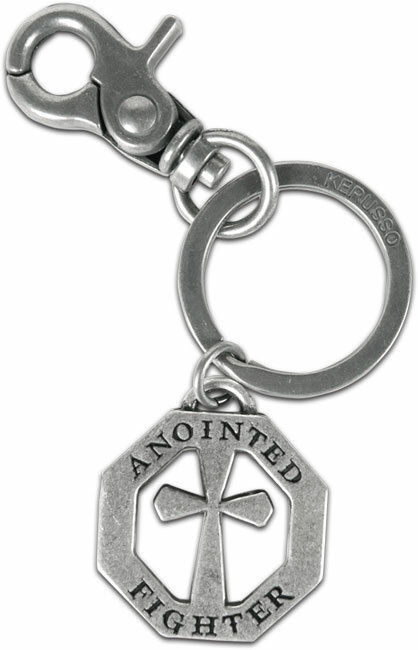 $12.99 Our new and most popular Faith Gear pendants - redesigned as fashionable key chains. 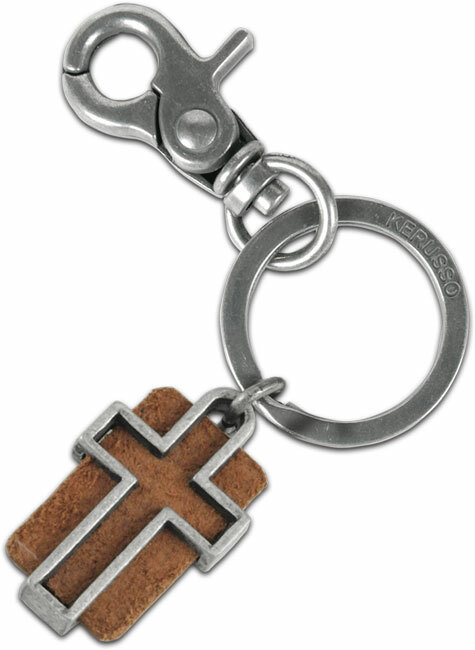 $12.99 The cross is central to the message of salvation and this cut-out cross ingot is centered on a heavy leather band that reads “Jesus Saves”. Displaying 1-20 of 48 Found.